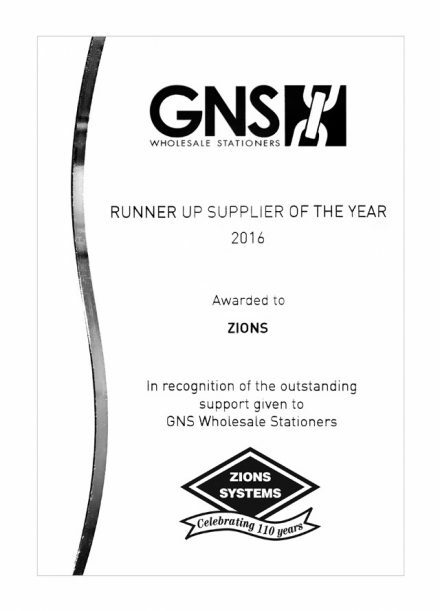 On Friday 7th of April 2017, GNS Wholesale Stationers held their Annual Supplier Lunch to thank Suppliers for their Service and Support throughout the year 2016. A major part of this function is the Newsagency Co-Operative’s Supplier Awards. For the year 2016, Zions was proudly named ‘Runner Up’! This award is given in recognition for those Suppliers that have shown a high level of Customer Service, Fulfillment and all round Support in working with GNS to have a mutually beneficial business outcome. Congratulations Zions – who are also Celebrating over 110 years in business! 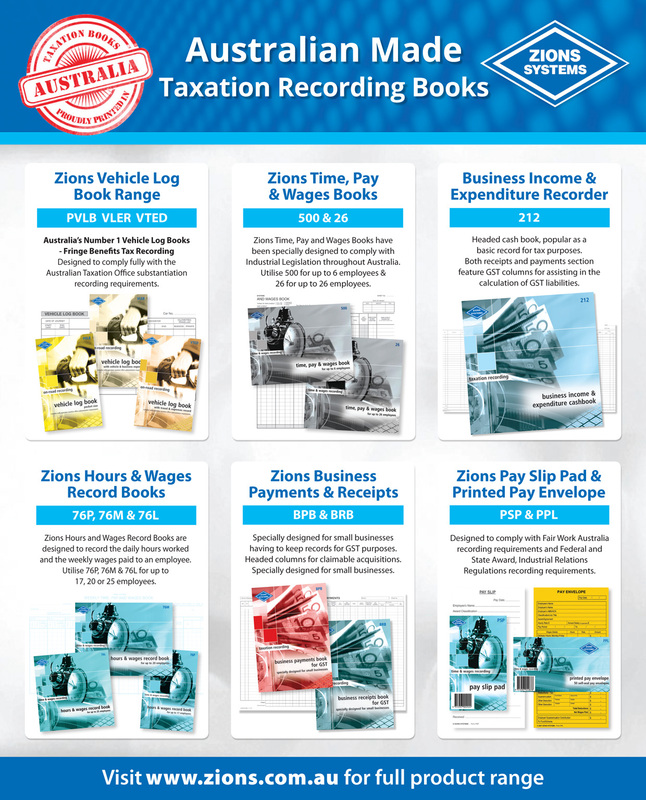 Taxation Books – Proudly Printed in Australia. Please contact us to let us know what you think of our product range – all comments and feedback are welcome. Please let our customer service team know if you cannot find something or would like to make any suggestions for new information or topics. We conduct product review survey’s from time to time, so let us know if you would like to be apart of the research.